To finish these nice products, pack them in a nice presentation box and it’s the perfect give away! We have all kinds of packings available, from plastic and cheap to luxury expensive. All our packings can also be provided with a logo, design or text. 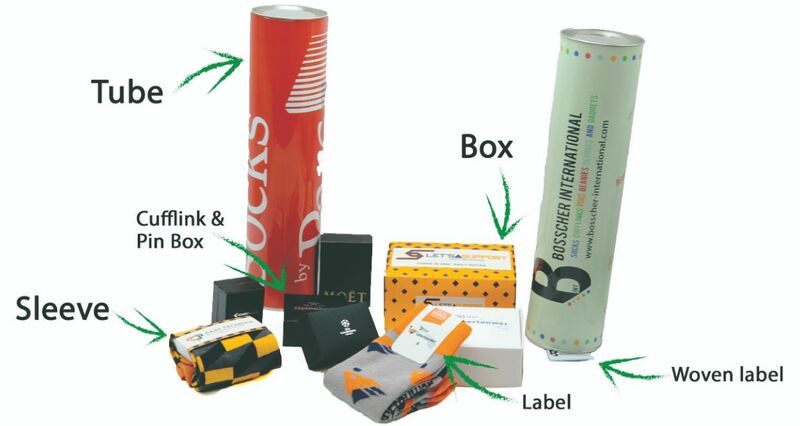 Socks can be packed with a label, sleeve or in a nice box. Eco-packings are also availabe. All packing options can be with a full color design. Special packins on request. Let us know in the contactform! Beanies and scarves can be supplied with a woven or leather label, packed in a special box or custom made special packing.